The Cavite-Laguna Expressway project will improve traffic flow by minimising congestion on Governor’s Drive, Sta. Rosa-Tagaytay Road, and Aguinaldo Highway. 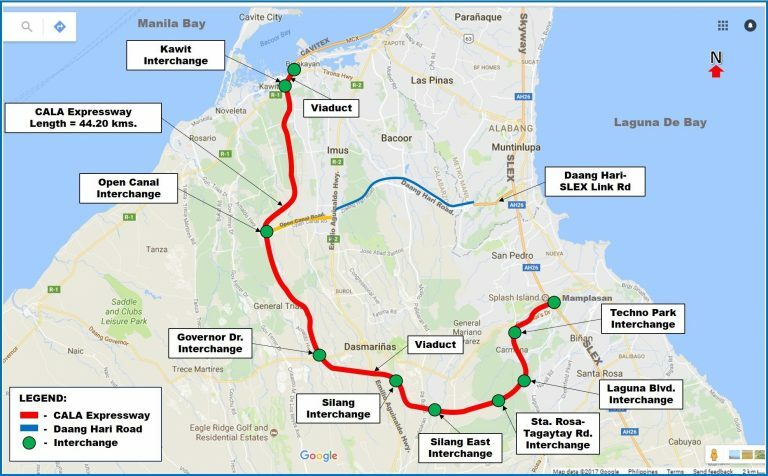 It is also expected to reduce the travel time between CAVITEX and SLEX from the current 90 minutes to approximately 45 minutes. It will also provide efficient transportation links for approximately 11 billion people living in the Cavite and Laguna provinces, as well as benefit economic zones within the area. In addition, the project will help promote the Calabarzon (Region IV-A) region as a preferred destination for investment and growth. improve competitiveness of Region IV-A/CALABARZON as an investment destination. Groundbreaking was held on June 19, 2017. MOA between DPWH and PNP-SAF for use of the ROW in the PNP-SAF property at Sta. Rosa City, Laguna was already signed last 23 February 2018. Ongoing mobilization of equipment for construction of the two (2) sub-sections (Technopark and Laguna Boulevard Interchanges), with a length of 7kms. Construction on Laguna segment reached 6.917% accomplishment.